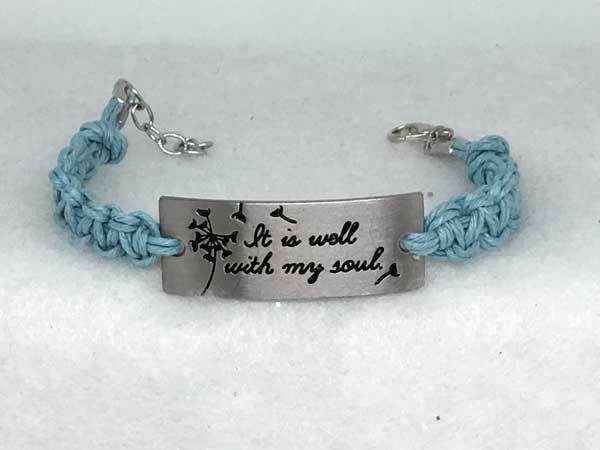 IT IS WELL WITH MY SOUL is complimented with a beautiful gray-blue hemp cord. The cord color is as soothing as the expression. Love this one!